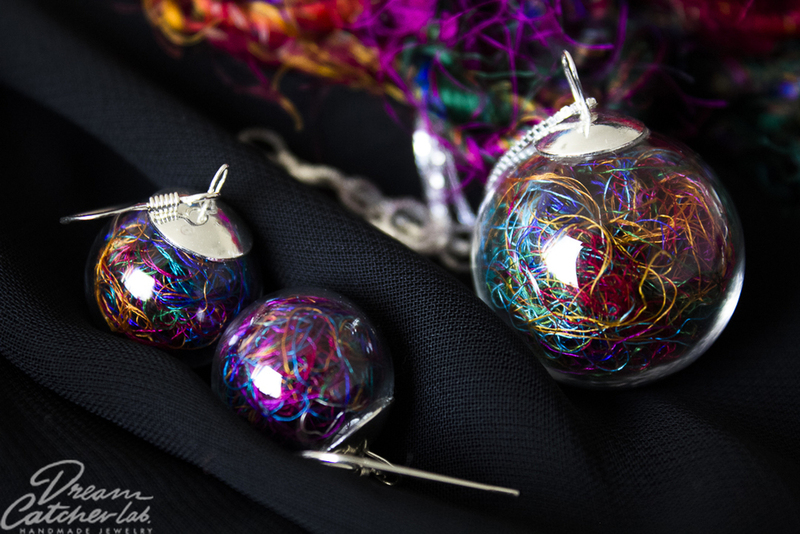 You Won’t Believe What’s in this Truly Exquisite Handmade Jewelry! I don’t know what it is about this year, but I’ve been in a period of some transformation in my life. I’ve gotten into meditation and have been trying to bring more gratitude into my life as well. In the process of finding my grace, I’ve really become more aware and mesmerized by nature, especially now that the weather has warmed up and I’ve been able to spend a lot of time outdoors in it. I’ve only recently discovered how being in nature can be so tranquil and bring such an immense peace to the soul. Which is exactly why I fell in love with a beautiful handmade jewelry site, called DreamCatcherLab. Based out of Spain, this beautiful site filled with gorgeous photos, contains some of the most beautiful jewelry made of the beauty of nature, that I have ever seen. This site brings two of my biggest loves together, jewelry and nature, in some of the most exquisite wearable creations. DreamCatcherLab was born in a one year journey around Japan, Singapore, India, and Indonesia, where the inspiration to design was ignited, and beautiful unique sustainable, pieces of nature were treated and preserved and used in some of this stunning jewelry made from silver 925 and gold filled findings, you can find on the site. We all know the popular Native American Dream Catcher legend. Hang a dream catcher above your bed at night, and bad dreams will get caught in the net, and the good ones will drip down the feather like a drop of dream water, filling your life with pleasant and joyful dreams come true. 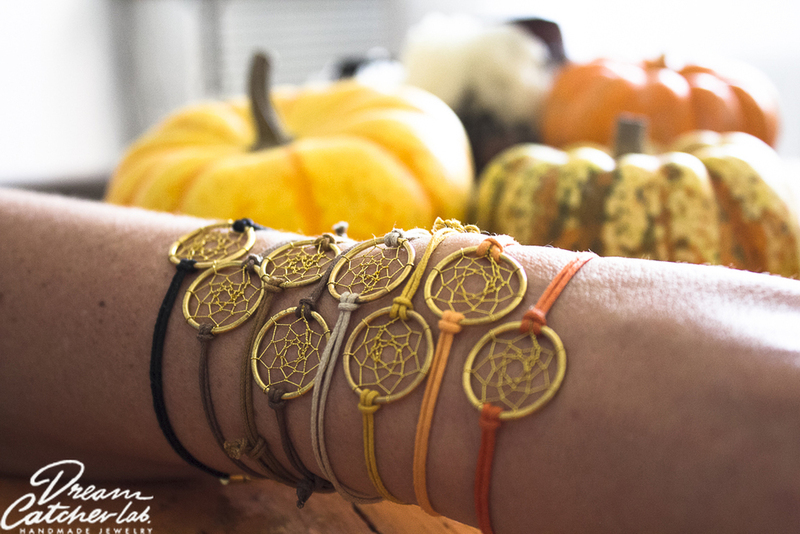 Being true to the name of the business, you can find some very one-of-a-kind Dream Catcher pieces such as necklaces and these lovely bracelets shown below. Find these beautifully simple, yet elegant and timeless bracelets in every color in the rainbow! 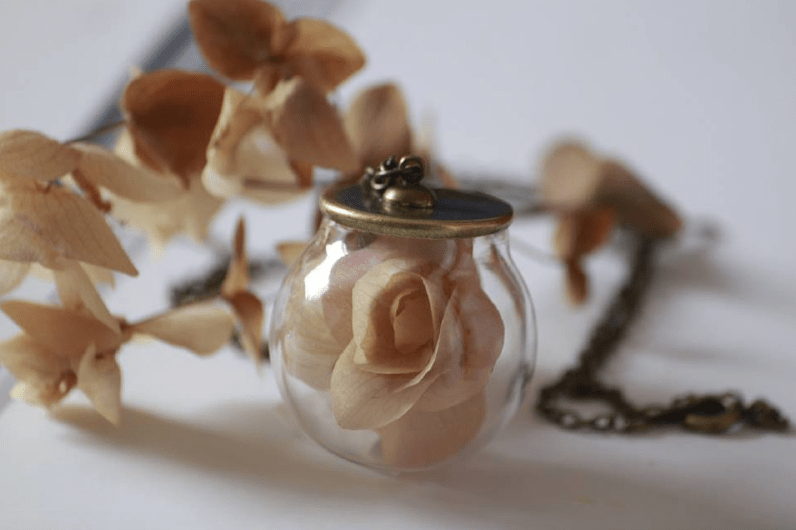 Being the big fan of nature that I’ve become recently, I absolutely couldn’t be more stunned with some of the truly exquisite nature pieces you will find in this gorgeously chic handmade shop. 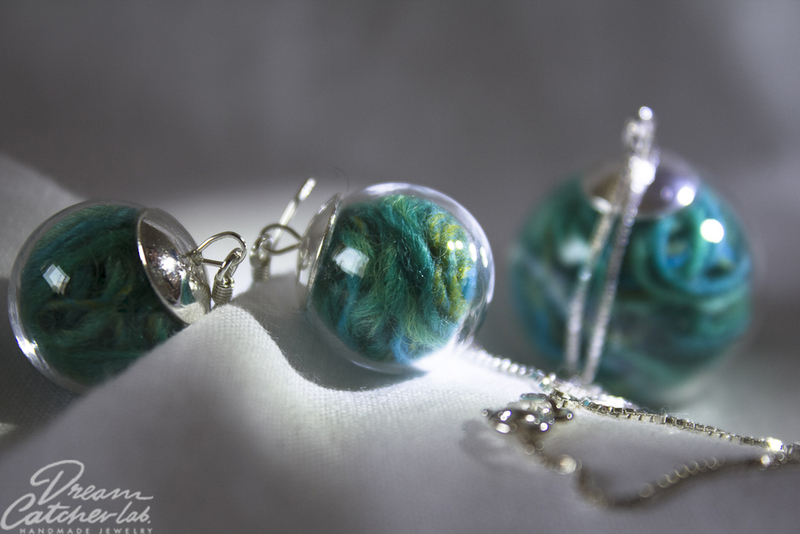 You will be amazed when you read what piece of nature has gone into each earrings and necklace. This one directly below is probably my very favorite. 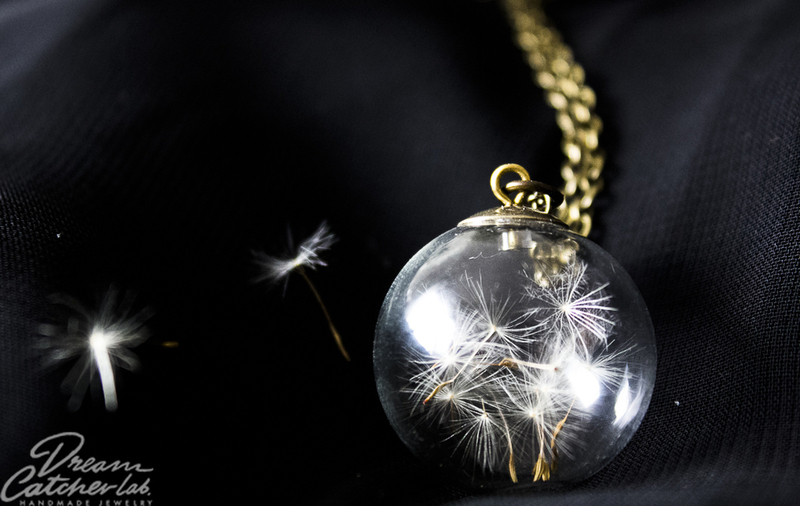 Would you believe that those are dandelion roots in that beautiful necklace? I’m amazed at the eye for finding and containing such beauty in such a truly unique, truly luxurious piece of jewelry. I thought I was beginning to open up to the beauty of nature around me, but I can see there is a lot more beauty in this world I have yet to pay attention too. You will be amazed at what you find on this site. There are pieces made using angel hair, lavender, fern, raw silk filament (shown directly above), wool, pine flowers, and so so much more! This site is an absolute dream, a beautiful GOOD dream I would love to share by gifting my loved ones with too. Would you like to gift one of your loved ones with the love of nature wrapped up in beautiful jewelry too? Or perhaps treat yourself to one of these gorgeous, truly inspired pieces? Then be sure to shop the site today at DreamCatcherLab.com.